Provinciality is a painful feeling that causes uncertainty and dissatisfaction with oneself. In architecture, provinciality is manifested in a thoughtless imitation of the newest metropolitan trends, in distrust in local architects demonstrated by the authorities, as well as in incapability to appreciate the significance and identity of the non-metropolitan architecture. As a result, the province loses its valuable features, while the new architecture does not produce any masterpieces. BAGINA, Elena. On Provinciality, Greed and Aspiration for a Metropolitan Life. project baikal, Russian Federation, n. 52, p. 62-63, june 2017. ISSN 2309-3072. Available at: <http://projectbaikal.com/index.php/pb/article/view/1164>. Date accessed: 23 apr. 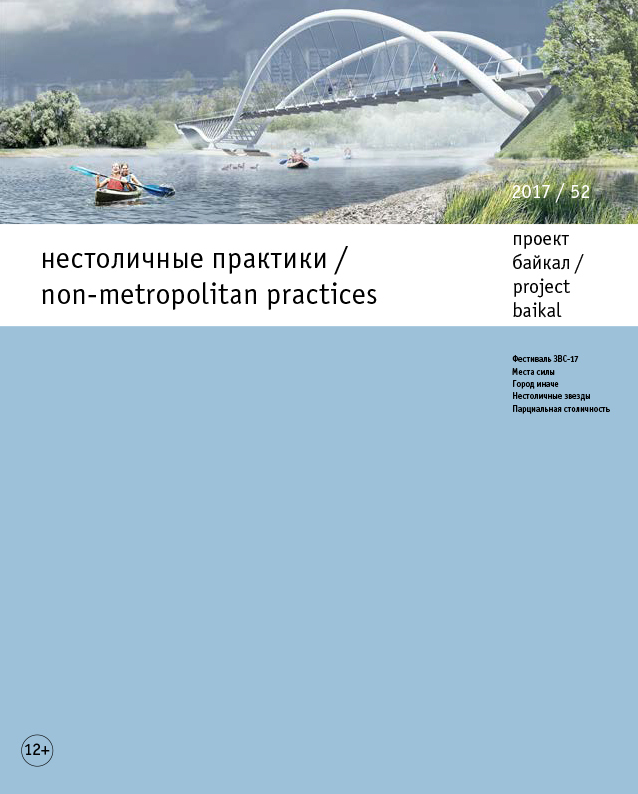 2019. doi: https://doi.org/10.7480/projectbaikal.52.1164.